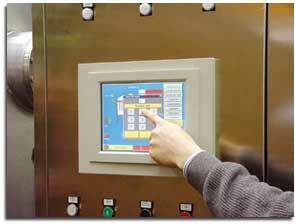 In order to match with the technical features of our autoclaves, we have in production 2 different types of controllers. The NT 20 model is the basic one which allows the user to prepare and execute different types of cycles by entering the information on the B/W touch screen. 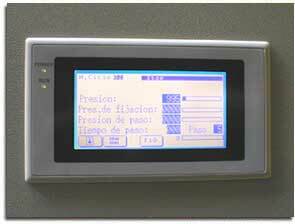 This type of screen is strictly connected with the PLC which is controlling all the functions of the machine. The VisualSteam, is the more advanced controller that is realized by means of a W panel PC with the colour touch screen which can show graphically the status of the machine as well as its components. Also in this case the machine is equipped with a PLC for controlling all the functions of the machine following the correct sequence. The VisualSteam controller can be remotely controlled by means of an Ethernet network and the remote computer can retrieve and print all the important data related to a particular steaming batch.